With the evergrowing demand for halal skincare and the increasing exposure on Korean beauty trends among Malaysian, the people at Kulin realises that it would be a good chance to introduce something that is natural, safe and even better if it also comes with a halal certification. 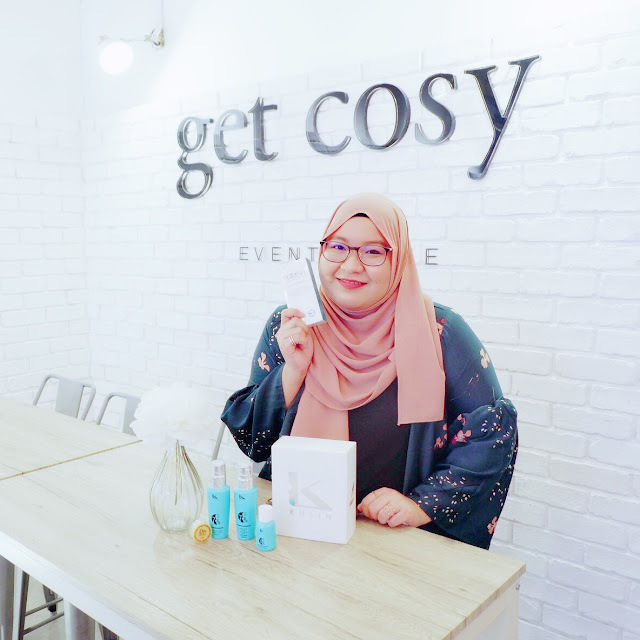 Their premium skincare range called the Seven Days Later Set comes in three parts; the Multy Essence, the Waterful Whitening Essence, and the Collagen Powder which are all made of natural ingredients from halal sources which are Muslim-friendly. Meanwhile, the Puresh UV Protector is officially certified halal by GIMDES (Association For The Inspection and Certification of Foods and Supplies) which is Turki's highest halal certification body that is recognised by JAKIM as well. 3. Help to brighten up the skin. 8. Maintains skin hydration and provides nutrients. 9. Inhibits melanin production that causes freckles and skin discolouration. Some of the star ingredients include patented aloe's traditional fermented component (10 years), 9 types of natural plant fermented component, patented gingko, pomegranate, fig, mulberry plant extract and red ginseng stem cell culture. 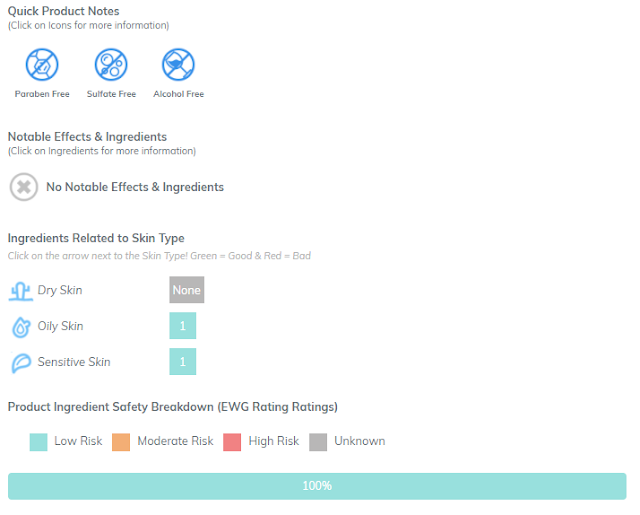 Looking at the EWG rating above, you can see that this product has a considerably low risk but for those with sensitive skin, you might want to take extra precaution as the essence contains lavender oil that might irritate it. Water, Lactobacillus (Aloe Barbadensis Ferment Filtrate), Sophora Angustifolia Root Extract, Panax Ginseng Root Extract, Lycyrrhiza Glabra (Licorice) Root Extract, Cornus Officinalis Fruit Extract, Rubus Coreanus Fruit Extract, Perila Frutescenes Leaf Extract, Taraxacum Officinale (Dandelion) Extract, Carthamus Tinctorius (Safflower) Flower Extract, Butylene Glycol, Glycerin, PED-75, Niacinamide, 1,2-Hexanedion, Urea Sodium Citrate, Polysorbate 80, PEG-40 Hydrogenated Castor Oil, Allontoin, Dipotassium, Glycyrrhizate, Disodium EDTA, Tocopheryl Acetate, Lavandula Angustifolia (Lavander) Oil, Pridoxine HCI, Witch Hazel Extract, Zinc Suldate, Adenosine, Citrus Limon, Fruit Oil, Sodium Dilauramidoglutamide Lysine. I like how easy it is to spray the products and how even the application is. Since I have a dry and slightly sensitive skin, I do experience slight tingling/itchiness upon first application which I am guessing caused by the citrus ingredient (my skin had a similar reaction before with vitamin C based products) but it does subside after the first few minutes. Once the tingling goes away, I can feel that my skin is immediately softer, bouncier and tighter. Price wise, it does have a slightly hefty price tag than my usual price range but after looking at the ingredient list, I can see that it is well justified. 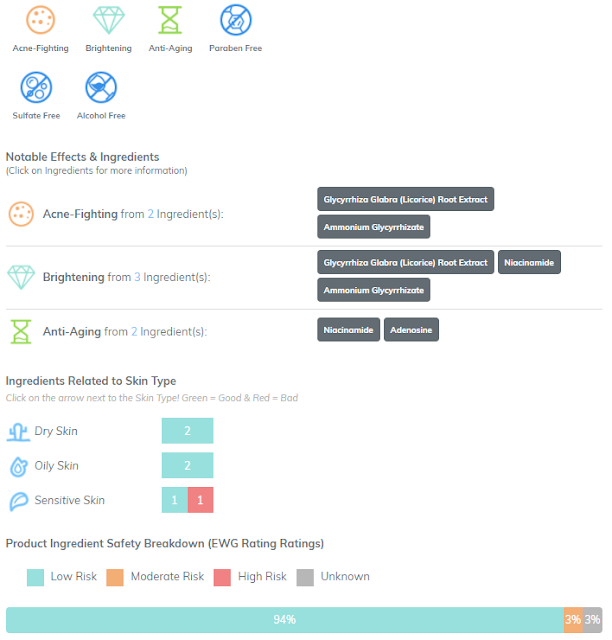 Water, Glycerin, Cyclopentasiloxane, Cyclohexasiloxane, Butylene Glycol, Niacinamide, 1,2 Hexanediol, Titanium Dioxide, Dimethicone, Sodium Chloride, Sodium Hypochlorite, Polyglutamic Acid, Punica Granatym Fruit Extract, Hippopahe Rhamnoides Fruits Extract, Althaea Rosea Roct Extract, Aloe Barbadensis Leaf Extract, Snail Secretion Filtrate, Cetyl PEG/PPG-10/1 Dimethicone, Dimethicone/Vinyl Dimethicone Crosspolymer, Panthenol, Ascorbic Acid, Fragrance. To be completely honest, I am not the type who likes to use a product with a whitening feature as they tend to be slightly stronger for my sensitive and dry skin but surprisingly my skin reacted well with this Waterful Magic Whitening Essence. I like that it gives an instant brightening effect upon application but it's subtle enough to be able to blend in with my normal skin tone. The cream got absorbed fairly quickly into the skin and there is no tackiness or stickiness left afterwards. It also doesn't feel heavy on the skin which is perfect for us living in the hot and humid climate in Malaysia. Hydrolyzed Collagen, Dextrin, Glucose, Dipotassium Glycyrrhizate, Allantoin. To use, just mix an appropriate amount around 0.1-0.2gram of the Fish Collagen Powder with the Waterful Magic Whitening Essence. I would recommend you to mix it thoroughly and not to leave any residual powder before applying it to the skin as it might cause the powder to clump on the skin after everything got absorbed. After a few usages, I managed to find the appropriate ratio between the whitening essence and the collagen powder so I finally don't experience any issue with it anymore! 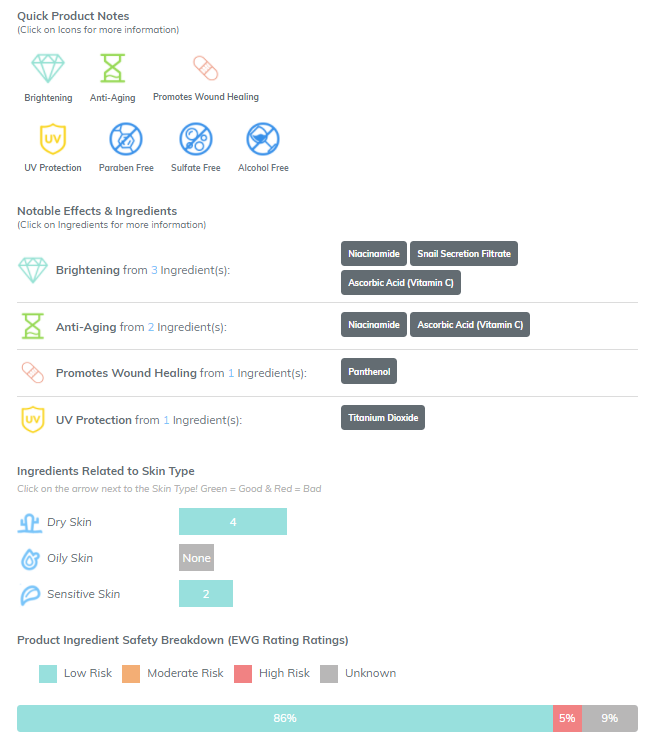 Last but not least, I want to talk about this halal-certified sunscreen called Puresh UV Protector with SPF35 PA+++ that surprisingly turned out to be one of my favourite out of the four products! It doesn't contains any harmful chemicals and helps to protect the skin from harmful UVA and UVB rays and is gentle enough even for sensitive skin. It's triple functional providing sun protection along with whitening and anti ageing feature. They also claim that this product is safe enough to be used for babies and pregnant ladies. Zinc Oxide, Butylene Glycol Dicaprylate/Dicaprate, Water, Ethylhexyl Isononanoate, Sodium Hyaluronate, Silica, Isotridecyl Isononanoate, Cetyl Ethylhexanoate, Polyglyceryl-4 Dilsostearate/Polyhydrocystearate/Sebacate, Niacinamide, Centella Asiatica Extract, Morus Alba Bark Extract, Honey Extract, Polyglyceryl-4 Isostearate, Sodium Chloride, Magnolia Obovata Bark Extract, Dryopteris Crassirhizoma Extract, Forsythia Suspensa Fruit Extract, Sodium Polyglutamate, Butyrospermum Parkii (Shea Butter) Extract, Argania Spinosa Kernel Oil, Ophiopogon Japonicus Root Extract, Bidens Pilosa Extract, Ptychopetalum Olacoides Bark/Root Extract, Prunus Domestica Fruit Extract, Hydrolyzed Hyaluronic Acid, Hydrolyzed Glycosaminoglycans, Stearyl Glyrcyrrhetinate, Spent Grain Was, Butylene Glycol, Diglycerin, Panthenol, Tocopherol, Cyclohexanediol, Bis-Ethylhexanoate, Beta-Glucan, (-)-alpha-bisabolol, Madecassoside, Asiaticoside, Ascorbyl Tetraisopalmitate, Ceramide NP, Adenosine, Betaine, Allantoin, Aloe Barbadensis Leaf Juice Powder, Propanediol, 1,2-Hexanediol, Disteardimonium Hectorite, Dextrin, Triethoxycaprylylsilane, CI 77492, CI 77491. I like how it's not as sticky nor tacky as other sun protection products that I've tried previously. I don't feel any greasiness nor discomfort on my skin upon application as well. It has a very light texture and is absorbed. There is a slight brightening effect that can be seen on the skin which is nice to have on days where I don't feel like wearing any makeup. 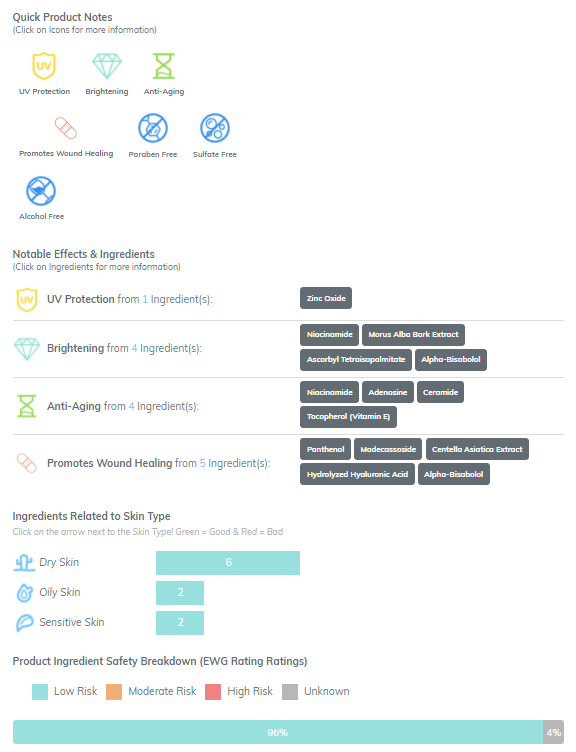 Price wise, it is slightly on the higher end for a sunscreen but the halal certification and the safety of the ingredients used seem to make up for it. I would like to thank Kulin for inviting me to try out their products. It was a fun sharing session and I am glad to hear that we will another halal/Muslim-friendly product to cater the demand we need. Of course, this product will be great for non-Muslim as well due to the nature of halal itself requires something to be safe and clean for use. I also managed to do a quick insta-video to show the steps I took in my routine using the products so make sure to check it out on @anisfarhanaaliman91. For more information about the products or to place an order, kindly visit Kulin website on www.kulin.asia. They can also be found on Facebook via facebook.com/Kulin-SEA or Instagram on @kulinsea.